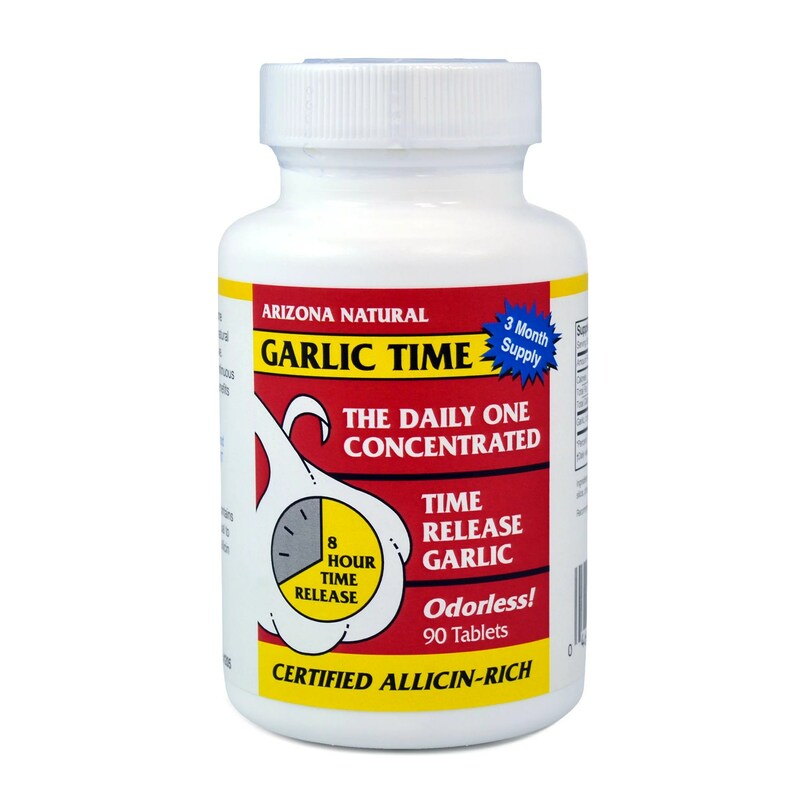 Garlic Time™ one-a-day slow releases 600 mg. of 3x concentrated allicin-rich garlic with each tab. Nearly 2 grams (one clove) of raw garlic is concentrated into a single tablet. The garlic follows your natural digestive pathways, just like the food you eat, so your body can use the beneficial nutrients and sulfur compounds. Allicin is primarily responsible for the health benefits of garlic, but because it is also the reason garlic is stinky, it is not found in other garlic supplements. But Arizona Natural’s patented buffering process retains all the allicin-producing compounds while eliminating garlic’s notorious stench. Time-released and guaranteed odorless, Garlic Time™ gives you the benefits of garlic throughout the day without smelling like a garlic bulb. Please call (800) 255-2823 or contact us if you are store owner and would like to be listed here or carry our products, our full line is available through the following distributors, or direct from Arizona Natural. How commonly is EDTA chelation therapy used? The National Health Interview Survey, conducted in 2007 by the Centers for Disease Control and Prevention, found that 111,000 adults used chelation therapy as a form of complementary medicine in the previous 12 months.